(Reuters) – Proponents of government efforts to clean up hazardous waste sites like radioactive soil buried in a St. Louis-area landfill fear the Trump administration’s proposed 30 percent budget cut will slow or damage the already struggling Superfund program. The White House budget proposal submitted to Congress on Thursday includes a 31 percent cut in spending for the U.S. Environmental Protecting Agency, including a similar reduction of the agency’s Hazardous Substance Superfund Account by $330 million to $762 million. The Superfund program, started in 1980, has been criticized over the years for its slow efforts to clean up hazardous waste sites, which now number more than 1,300 around the country. Proponents argue that the EPA fights with one arm tied behind its back because its budget has been halved from $2 billion in recent years, while critics say what they characterize as a bloated bureaucracy should step out of the way and allow the states and private sector do the job faster, cheaper and more effectively. “This is a program that is already a bit on life support, so to take another third out of it is really quite harmful,” said Ken Kimmell, president of the Union of Concerned Scientists, which advocates for science-based solutions to problems. 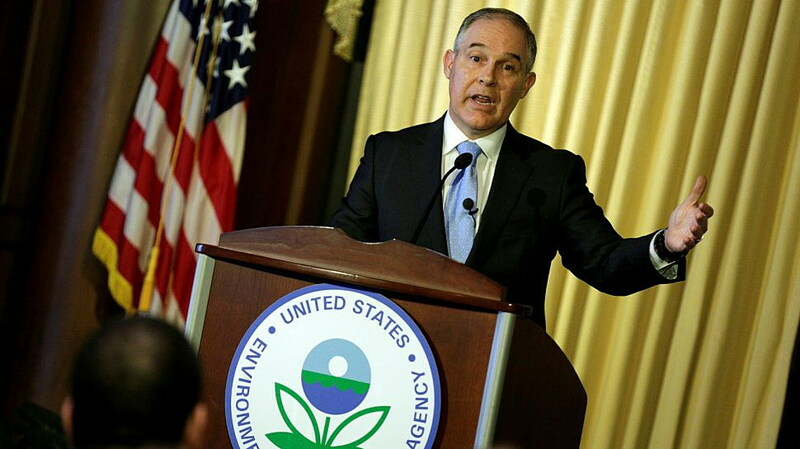 Those who worry about the Superfund program’s future are angry that EPA Administrator Scott Pruitt is already abandoning newly made promises, citing comments he made earlier this month to U.S. mayors. 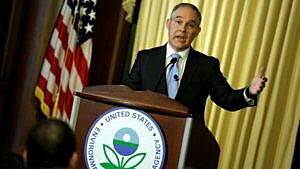 An EPA spokeswoman said the focus for the agency has not changed, only how to achieve its mission. That is cold comfort to some living near Superfund sites, like Dawn Chapman, a 36-year-old stay-at-home mom who co-founded a group named “Just Moms” four years ago to bring attention to the plight of residents near the West Lake Landfill in Bridgeton, Missouri, about 20 miles (30 km) northeast of St. Louis. The EPA last fall indefinitely delayed its proposal for how to clean up contaminated soil at the landfill, next to another site where an underground fire has been smoldering for several years. Residents complain of higher rates of cancers, bloody noses or asthma. “I don’t see how this is going to speed up anything,” Chapman said of the proposed smaller budget. Chapman, who has three children with special needs, is unsure whether the landfill is the cause of their issues. She wants the cleanup to move ahead, but is not confident the state could handle the matter any better. Michael McKenna, a Republican strategist and energy lobbyist, said asking an organization to do their job with a little bit less is not unusual, and the EPA will find efficiencies. “It’s a bit premature to declare the sky is falling,” he said. Critics of the EPA said the agency needs to operate better with less, and work more closely with the private sector and states to get back to its core mission. “The problem I have with the EPA, it’s turned into more of an ideological group more concerned with spreading a liberal message (President Barack) Obama had,” said Republican Senator James Inhofe of Oklahoma. Inhofe has been critical of what he characterized as overreach by the EPA, as well as its rule making and bureaucracy under Obama. However, some environmental groups argue that the shifting the work to the states is not the answer. Mike Scott, a senior organizing representative with the Sierra Club in Montana, said that state got $37 million from the EPA last year for its 16 Superfund sites. He added that the state’s Department of Environmental Quality gets almost half its annual budget from the EPA as well. “Even if they say, ‘We’re going to shift this over to the states,’ I don’t understand how the states are going to have the resources to pay for it,” Scott said. Backers and critics of the program agree on one thing: The budget that comes out of Congress will look far different from the Trump proposal and likely will reverse some of the cuts to the Superfund program.